The electrical division has evolved over the past 12 months to support the growing needs of our business. We have carried out a number of exciting projects in the renewable heating market, involving Ground Source and Biomass Heating Systems. The design of the electrical controls has proved vital to the success of the installation, it is a specialist skill, one that we now offer in-house. No need to wait for another company! 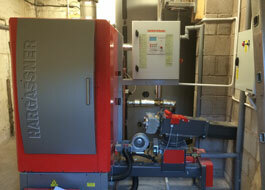 Renewable Heating Systems – Biomass Boilers, Ground Source Heating, Air source and Underfloor heating. Over the past 12 months we have successfully tendered for the design and installation of Biomass Heating Systems in businesses, either Working Farms, Ice Cream Parlours, Churches or Private Halls.